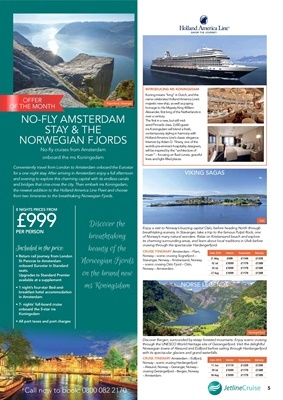 from two itineraries to the breathtaking Norwegian Fjords. Holland America Line's classic elegance. cruising through the spectacular Hardangerfjord. with its spectacular glaciers and grand waterfalls.